The author sets out to help readers think about how God has revealed himself through the pages of the Bible. The book is divided into four parts. Part one deals with the ‘why’ of biblical theology, part two deals with the ‘how’ of biblical theology, part three deals with the ‘what’ and part four with the ‘where’ of biblical theology. In part one, the author sets out to tell us why it’s important for us to study biblical theology. The main reason is that we have problematic texts in the bible and thus having proper biblical theology will help us in dealing with them. Also, biblical theology helps us make a connection between the Old and the New Testaments through the person and work of Jesus Christ. Biblical theology gives us the bird’s eyes view of the bible as a whole and thus we are able to see the unity of the whole. In part two, the author starts by highlighting that we can know God because he has made himself known. We can know him through his Son, Jesus Christ who is the truth. This Jesus is in fact the incarnate Word of God, who was with God and was God in the beginning (John 1:1). He is the fulfillment of Old Testament. All that the Old Testament speaks is about him and/or finds its ultimate fulfillment in him. The work of the bible student then is to not to start with the Old Testament and think how Jesus fits in but to start with Jesus and work backwards then work forward. This also implies that the scripture is what is to be studied in order to get the revelation of who God is and what he has done and is doing. The best way to study this scripture is in its literal-historical context and seeing how God’s redemptive work unfolds progressively from Genesis to Revelation. In doing this, there will be a need then to find a central theme that unifies the message of the bible. But God’s dealings with his people are not all finished. He works so as to deal with the problem of human sin. He does this through covenants- Noah, Abraham, and consequently Isaac, Jacob and his descendants, David and through the new covenant through his Son Jesus Christ. In the Old Testament, we see God redeeming his people from slavery in Egypt and bringing them to the Promised Land. God’s people are given a set of laws they are to live by. This is to mark them as distinct from other nations and also to make them a light to other nations. The people of God fail in many ways. The author also highlights the idea of kingship in the land. God is king of his people. Though the people err by asking for an earthly king, God allows it as it is what he had promised to Abraham and also in line with creation of man to rule over creation. The king was to fear God, obey his commands and not be against his people. The first king, Saul is rejected by God and replaced by David- a man after God’s own heart. God makes a covenant with him that his kingdom will be established forever and that his descendant will always be on the throne. Solomon partly fulfills this, the kingdom prospers but he fails as his heart is led astray from God by the foreign women that he married. The rest of Israel’s kings are disasters save for few like Josiah and Hezekiah. God’s people are called to live wisely by remembering God’s saving acts and living in light of this. The prophets come on the scene as God’s mouthpiece, mediating between God and the people and calling them back to the covenant way of life. The people don’t heed and are thus taken to exile as an act of God’s judgment. After a period, they return to the land but this is only but a disappointment. At this point, as the author notes, the Old Testament is then an unfinished story giving way to Jesus who is its fulfillment. Jesus then is the new creation who makes new creations of all those joined to him by faith as they look forward to his coming back when he will make a new creation of everything. From the NT moving forward, Jesus has ushered in the kingdom and is drawing in people (the church) from different backgrounds. Finally, in part four, the author gives two examples of how the study of biblical theology can be applied; a) the question of knowing God’s will and b) the question of life after death. The author uses a redemptive-historical method particularly focusing on the Kingdom of God as the unifying theme of the bible. He shows how this unfolds from creation, to fall, to redemption, to new creation. He highlights the three elements of this kingdom; God as ruler, the people and the created order. In creation, the kingdom is God’s creation where he is the ruler, the people are Adam & Eve and the creation order is the Garden of Eden. The central themes he deals with are creation/generation ex nihilo by the Word of God, God’s sovereignty, order and goodness of creation, image of God in man and responsibility of man. In the fall, there it’s as if things are hanging up in terms of God as ruler, the people and the creation order as everything is interrupted. Temptation, disobedience, judgment and death, broken relationship and God’s grace are the main themes. When it comes to redemption, the author divides it up to different parts as he continues to trace the kingdom of God. In the story of Noah, God is still ruler, there’s the flood (for kingdom) and the ark is the world (creation order). The mains themes here are covenant, election and division of humans between elect and non-elect. In the story of Abraham, God is ruler, there are Abraham’s descendants as the people and Canaan as the land. The main themes are covenant, descendants of Abraham as God’s people, blessings to the nations and Promised Land. In the story of the exodus (through Moses), the LORD is the ruler, Israel is God’s special people (firstborn son) and Canaan is the land. The main themes are captivity, God’s covenant faithfulness, name of God, signs and wonders, supernatural redemption. With the giving of the law, the main themes are Sonship, law and grace, substitutionary sacrifice, and holiness. With Israel’s wilderness wanderings, the main themes are name of God, God dwelling with his people, Promised Land and Israel’s disobedience. With the people coming into the Promised Land, the main themes are Promise of possession, the Lord’s holy war and Conquest. The author then looks at kingship particularly with David as the representative. The LORD is ruler. A special focus is on David’s line as the people and on the temple in Jerusalem as the place. Judgeship, kingship, temple, covenant, order, fear of the Lord and regeneration of the mind are the key themes. For the prophets, the LORD is ruler. The people are the faithful remnant and the place is the new temple and Jerusalem. The main themes are redemption, revelation of God in his saving acts and prophetic revelation of kingdom yet to come. In the New Testament believers, the trinity (Father, Son and Holy Spirit) is in charge. The people are all who have believed in Jesus (saved by grace through faith). They are in Christ who is the new temple yet they themselves are also temples. The key themes are regeneration and the tension between the two ages (the now and not yet). And finally in the New Creation, the Trinity (Father, Son and Holy Spirit) rules. The people are God’s people in his presence in the new heaven and earth. The key themes are regeneration of whole creation and Christ’s second coming and consummation. The book is so helpful in bringing out the theme of the Kingdom of God. This is one big theme that the author so clearly follows in tracing the story of the bible. One can see how the bible fits together using kingdom as the main theme. But even before dealing with the issue of what biblical theology is, the author did well in part one in stating first why biblical theology and in part two how biblical theology should be done. The fact that we only know God because he has made himself known by his Son through scripture brings confidence to the authority of God’s word and the need to rely on it in a time when anything else is seen as reliable but God’s Word. The book is also helpful in the way the author writes with clarity and summarizes the main idea and keeps coming back to them. He charts his path clearly and the reader can easily follow along. This book can thus be read by anyone. The book is Christ-centered rather than being man-centered and thus we are able to see what God is doing even in the midst of passages/stories where we (21st century readers) would want to jump in and think it’s about us. There were a number of things that weren’t clear (weakness of the book). First, kingdom is a good category and the author rightly stated how in this kingdom, the elements are God as ruler, the people under his rule and the creation order (world). In walking through the different stages of God’ revelation (creation, fall, redemption, new creation), these elements somehow were vague. For example, looking at Abraham, Moses, David, one cannot tell exactly what the kingdom is. Is it the person? Is it where they live? This could have been clear. Second, some of the conclusions reached by the author are not helpful in my view. He says “if we can imagine God drawing up the plans for the universe before he created it, and if we could examine these plans, we would not see Adam and Eve in the Garden of Eden, but Jesus Christ in the gospel” (page 60) which is for me, it is a wild claim. Yes, I agree Jesus is the focal point and is the start and the end. But in saying that if we examine God’s plans we wouldn’t even see Adam and Eve in the garden, one wonders then why God would have to go the ‘pain’ of creating Adam and Eve in the first place! I believe both are important in our understanding of biblical theology and so they are part of God’s plans. He also says “It is important to see that Jesus did not come because the time was fulfilled, but rather he fulfilled the time by coming.” (Page 72). Well, I think it’s both, the time was fulfilled and Jesus fulfilled the time. I believe God worked it in such a way that “at just the right time” Jesus came. Big house, car, name or disease, poverty and suffering? This question has been in my mind lately thanks to some wonderful brothers and sisters who we meet with weekly for Bible study. They are very honest about the struggle to believe and live out the things we learn from the Word as believers; some Bible truths are so hard to swallow and occasionally you will have people openly say ‘no’ or ‘I can’t believe that’. 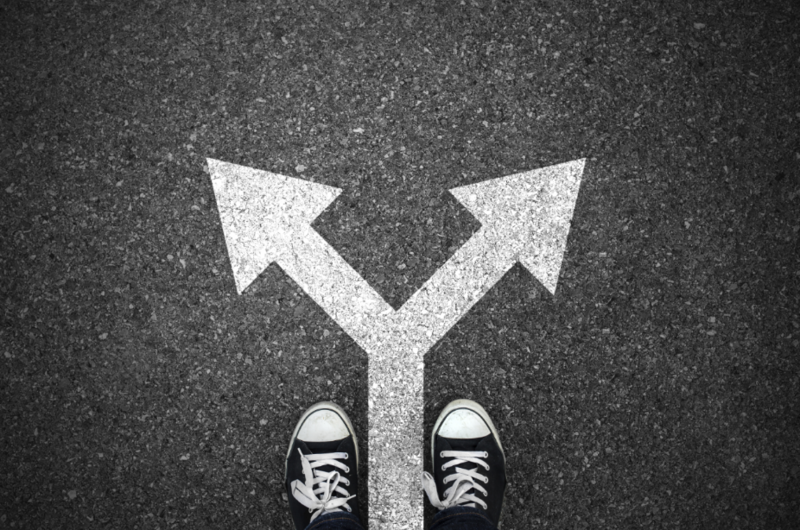 Being the one in ‘full time ministry’ has left me sometimes with the task of attempting to answer some of these objections but even then I have always gone home with questions half answered or not satisfied with the answers. I am seated at my reading table and this question of what’s God’s will for me comes to my mind. I believe it’s a question in the minds of many, caught between the prosperity gospel movement (decree and declare) vs. persecution and suffering. I think that while many disapprove of the former, the latter is not attractive, it’s gloomy and doesn’t sound like good news at all. Surely disease and suffering is not good news. It’s almost a case of fake vs nothing. I must confess that I do not have a satisfying answer, maybe just a thought. But there is no better place to look for it than in the Bible, the Word of God, his breath and indeed that which he has clearly given for our benefit. It’s able to instruct us and make us wise for salvation (2 Timothy 3:15). The assumption here is that we believe in God and in Jesus Christ as the only way to the Father and that our Father cares for us and that his word is for our good. If so, then we are on the same page. It is clear from Genesis that God had designed the earth to be a beautiful nice place (Gen. 1:31). It was good and man was the epitome of that as God creates him in His own image and places him in a beautiful garden that had everything; food, rivers, different trees bearing fruits (Gen. 2), and God himself is around having fellowship with man. He was even entrusted with the responsibility of managing the earth and everything else on behalf of God. Certainly it’s easy to note that God wanted the best for mankind, nothing you can ever imagine or desire in life now is better than what was in the Garden of Eden – Love, food, joy, power/authority (Adam calling the lions and hyenas). It’s amazing, no hustle, everything is wonderful. But we all know that did not last for long, man wanted more. More than food, love, authority and fellowship with God. The devil was there shouting ‘yes you can’, ‘you’ve got all it takes’, ‘you have the seed of greatness’, ‘exploit your full potential’. In other words ‘you can be god yourself’. The devil masquerades as a herald of good, as one who wants the best for man yet that is not what he gives. We should be wary of his schemes. He is the father of all lies who always pretends to be on our side, he comes in shoes of peace but brings destruction, dressed in truth but speaks lies. He hasn’t changed! Even so-called evolution has not changed him! Same old! We well know the results of man’s attempt to be God – the curse on the people and of the earth itself. Everything that was good is no longer that good. Even the wife that had excited Adam is no longer that good of a helper; she wants to be the ‘man’ as well. Away from the garden (and all its goodness) and from God, death and murder now becomes part of man. Rivalry and competition is the order of the day, the ground no longer producing food without hard toil. Instead of love, hatred. God’s will for man was to enjoy God, delight in what He created and to glorify him forever but the rebellion turned everything upside down. But God’s will is still on course for he had already planned how the beautiful, joyful and tear-free relationship would happen and he continues to call out for man! Where are you? From Genesis all the way through the Prophets, God continues to call man to himself but man continues to believe in a lie, and is clothed with shame and sin (Gen. 3). But God has a plan! His plan is to clothe man with Christ’s righteousness, to restore that fellowship for him to be able to enjoy God and his creation (Rom. 3:21-22). The new creation in Revelation is like the Garden of Eden reloaded! It’s full of rivers, love, power, and more than that God is there 24/7. No thieves or corruption, no unemployment (everyone is a full time worshiper and ‘reign-er’), no tears, no death- we live forever (Rev. 21:1-8). All that sounds nice and good but what about now? Surely we are not in the new creation yet as is quite evident. We are on a journey towards the new creation (for believers). It’s like being on the way to collect your salary, you might not be able to buy stuff on the way but you will after you have received it. You might be hungry on the bank queue but you are assured of at least being able to buy food in the end. Those illustrations are not exactly suitable as our journey is full of unknowns, brokenness, fear, disease, hunger, death, mourning but the goal is sure, certain and fulfilling. We must keep ourselves focused on the goal and not be derailed on the way. An athlete will have people on the sides cheering him and others ridiculing him and he must be careful not to focus on any of them but to keep looking forward. 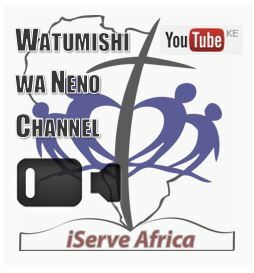 Whether a ‘fat’ bank account or only an M-Pesa account, whether we suffer want or disease or persecution or whether we have plenty, God’s will is for us to remain anchored in Him and focused on the new creation. His will is not just wishful thinking but a sure, certain and planned joy and fellowship. So what’s God’s will for me? It is satisfaction, hope and trust in him and Jesus Christ and His promise for an eternity together with him. So whether in suffering or disease, or nice family and car, he wants me to have him forever. God’s will is for me whether in poverty or riches, health or sickness, is to be satisfied and for him to be glorified in me. That I will honour God in awe and he shall be the object of my worship, be thankful to Him and that I will be daily putting my trust in Christ Jesus for salvation. As we have already seen before, Jesus’ earthly ministry is largely about preaching. Mark the evangelist says “After John was put in prison, Jesus went into Galilee, proclaiming the good news of God. ‘The time has come,’ he said. ‘The kingdom of God has come near. Repent and believe the good news!’ (Mark 1:14-15). At the start of his ministry, Jesus preaches. Someone said that ‘God had only one Son, and He made Him a preacher.’ In Matthew’s gospel, we see huge sections of Jesus’ teaching, the most famous being ‘the Sermon on the Mount’ (Matthew 5-7). In Luke’s gospel, after Jesus goes to the temple, he picks up the scroll of the prophet Isaiah, reads it and “then he rolled up the scroll, gave it back to the attendant and sat down. The eyes of everyone were fastened on him. He begun by saying to them, ‘Today, this scripture is fulfilled in your hearing.’ (Luke 4:17-21). We see again that his ministry is that proclaiming the good news of the kingdom. In John, Jesus powerfully teaches Nicodemus on the need for him to be born-again and about his mission “No one has ever gone into heaven except the one who came from heaven – the Son of Man. Just as Moses lifted up the snake in the wilderness, so the Son of Man must be lifted up, that everyone who believes may have eternal life in him.” (John 3:13-15). Scripture also attests elsewhere to Jesus, the incarnate Son of God being the word of God. He is the Word become flesh (John 1:14). He is the one who was heard and seen, looked and touched by the apostles’ hands. He is the one proclaimed by the apostles- the Word of life. (1 John 1:1-4). The writer of the epistle to the Hebrews says “In the past, God spoke to our ancestors through the prophets at many times and in various ways, but in these last days he has spoken to us by his Son, whom he appointed heir of all things, and through whom, he also made the universe.” (Hebrews 1:1-2). Jesus is the Word of God. To proclaim the Word is to proclaim Jesus. The apostles were charged by Jesus to preach. The great commission in Matthew 28:16-20 has the command to make disciples. This involves a number of things, chief of which is preaching (teaching them to obey all that I have commanded you). ‘Christ Himself knows best how to build and prosper His Church, and we have His order as to what is best done in that connection.’ We see then after Jesus is ascended to heaven, on the Day of Pentecost, the apostles empowered by the Spirit, proclaim this Christ. Peter opens up Joel and preaches Christ- fellow Israelites, listen to this: Jesus of Nazareth (Acts 2:22). He explained the scriptures and “with many other words he warned them; and he pleaded with them, ‘Save yourselves from this corrupt generation.’ Those who accepted his message were baptized, and about three thousand were added to their number that day.” (Acts 2:40-41). The church was formed and grew by the preaching of the men who had been with Jesus. The apostles gave themselves over to the preaching of the Word. We see later on, when there was a temptation to divert their attention to other things, they resolved to give their attention to prayer and to the ministry of the Word. (Acts 6:4). Their writings are full of their commitments to preach Christ and exhortations to preach Christ (Romans 1:16-17, 1 Corinthians 2:2, 15:1-8, 2 Timothy 4:1-5, 1 Peter 1:10-12). The church in the 21st Century has a lot to learn from Jesus and his apostles. It’s time we prioritised preaching and do it well. Greg Haslam, Preach the Word! : The Call and Challenge of Preaching Today (Lancaster [England: Sovereign World, 2006), 34. Throughout the bible, preaching seems to be one common factor that characterizes the church. In fact, from the Old Testament, one distinguishing mark of God’s people is that they are really a people under his Word. This word is brought to them by prophets who acted as God’s mouth-piece. Noah is described by Peter as a ‘herald of righteousness’ (2 Peter 2:5). Moses, as a deliverer of the Israelites from Egypt, had a major role of speaking to the Israelites as well as to Pharaoh. We see in Exodus the first thing that Moses and Aaron do when they go to Pharaoh is to speak “thus says the LORD, the God of Israel, ‘Let my people Go, that they may hold a feast to me in the wilderness.’” (Exodus 5:1). After this, Moses’ ministry continues to be that of a preacher. After Moses, God raises up other leaders who continue to speak God’s word to the people. In particular, they remind them of the covenant and their obligations. It is worth noting that whenever there’s were no people speaking God’s word, then God’s people would be in problems. At the time of Eli the priest, problems arose with his children who were so corrupt and forgot what their role was. We are told that “And the word of the LORD was rare in those days; there was no frequent vision.” (1 Samuel 3:1). It is in this period when God raised up Samuel to serve him. The rest of the Old Testament has many other people like Ezra, prophets like Jeremiah, Isaiah, Hosea and Malachi who speak the word of God to the people. Coming to the New Testament, we see that the priority of Jesus during his earthly life is preaching. We read in the gospel of Luke 4:14-15, after he was tempted, his first mission in to go to the synagogue and start teaching. In Mark’s gospel also we read “And he said to them, ‘Let us go on to the next towns, that I may preach there also, for that is why I came out.’” (Mark 1:38). Jesus continues with preaching until when he is arrested and crucified. After Jesus, we see that his disciples (the apostles) too concentrated on the preaching of the good news. The Great Commission itself is a call to preach “All authority in heaven and earth has been given to me. Go therefore and make disciples of all nations, baptizing them in the name of the Father and of the Son and of the Holy Spirit, teaching them to observe all that I have commanded you.” (Matthew 28:18-20). This is what the apostles do after Jesus is taken up to heaven. The book of Acts of the Apostles is full of the sermons that the apostles preach after the Holy Spirit has come upon them. Of course there are signs and wonders that are performed by the apostles but the thing that adds to the numbers of believers is their preaching that brings conviction and repentance. Preaching continues to be very vital in the life of the church today. It is the means through which God’s people get to hear him speak through the preacher as he unpacks the word. It is essential then that the church continues to have a high view of preaching. But the problem is that the value of preaching is somehow being lost in a majority of the churches. “In reality then, overshadowed by emphases on entertainment, felt needs, psychological approaches, and managerial direction of a multifaceted program of activities for all ages, preaching has diminished in importance in the local church.” For new churches that have just been planted, it is necessary that they have preaching as their core. It has been said that the church in Africa is a mile wide but an inch deep. The church seems to be growing numerically but not in depth. This is a general statement that may not be the exact picture but has truth in it. There’s preaching happening but it is most of it is not biblical. There is a lot of ‘Prosperity Preaching’ that is going on. Prosperity preachers are all over in the media. Recently, one popular bishop tweeted that people were going to get the car they have been dreaming about before the end of the year. This led to celebrations from some quarters and backlash from another. Clear biblical preaching that is rich in the gospel is needed. This is essential particularly for new church plants to see to it that from the start, biblical preaching is at the core of what they do. Michael F. Ross, Preaching for Revitalization: How to Revitalize Your Church through Your Pulpit (Glasgow, Scotland: Mentor, 2006), 32. This is another review by Loyce Naula- medical apprentice in Marsabit. As the title states, the book is written aimed at helping an average Christian to Dig out all the treasures in the Bible so that Bible readers can understand the scriptures truthfully and rightly apply it. 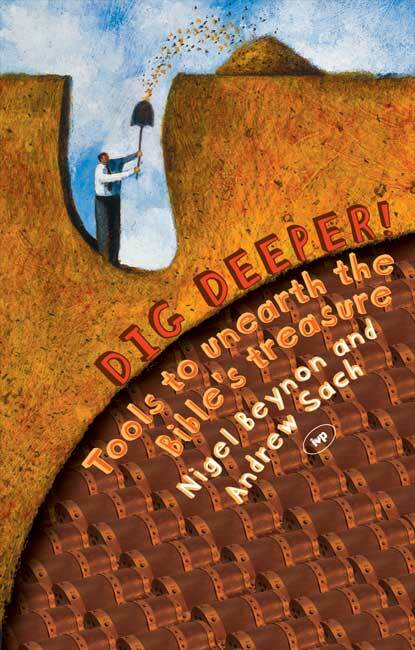 Nigel and Andrew give a simplified way they term as different tools to help us unearth the Bible and understand things that seem hidden or seem obvious and we overlook. 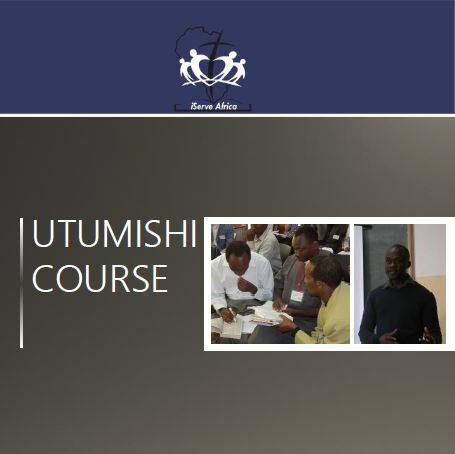 By digging deeper we understand their significance and learn to observe more hence bible reading simplified. Beginning with helping us understand what the bible is and how we should approach it, the two help us find answers to these questions throughout the pages of the book; what was the author’s purpose when he wrote the bible text or book? How is it structured and how do the sections fit together? In what context was the text written? Why are some words repeated? Any vocabulary used, what’s the meaning? What are the writing styles or genre used and why did the Author choose to use it? The book also help us understand and take note of the allusions or quotations throughout scripture. Something I also found so helpful as well was noting the feel and tone of the text, which so important in understanding and applying the text. One of the final tools, the Bible timeline tool helps us understand the big picture of the Bible from genesis to revelation- it’s important in seeing the small different bible stories and events as one big story, how and where each text fits, and how it helps me to understand and apply the text. I really liked the way the book was made simple to understand. The worked examples in every chapter of the book make it super practical not forgetting the Dig deeper bible texts summarizing every chapter thus challenging us readers to reflect more on the chapter and practice what we have learnt through a given text. We can use these tools in our personal bible studies and get all treasures in the Bible and live a truly transformed lives as Christians. Because its written in ordinary language, whether scholars or average Christians, teachers and all ministers can really find knowledge in this book. Dig deeper is the guide to understanding our bible for all its worth for it provides the basic knowledge we need to understand scripture. I recommend it to every Christian to read and enjoy scripture. This is a review by one of our apprentices, Loyce Naula. Loyce is sent to us by Global Link Afrika, Uganda. She serves in Marsabit as a clinical officer. The book addresses what has always been a point of confusion for me and many others. Mistakes and disagreements in Christian faith have arisen over it and yet it’s a vital pillar in Christianity- Understanding the Bible, making right interpretations and applying it correctly the way it’s intended by God. For a ‘common’ Christian to Bible scholars, Gordon and Stuart give a simplified approach on how to make good exegesis as the first task then faithful hermeneutics without misusing the Holy Scriptures, in that, every text or statement means what it was intended to mean first to the original hearers then to the 21st century hearer. They help us understand how to approach every type of genre, giving practical examples in each; they explain the nature of genre, its historical context, the literary context, cultural relativity and basic hermeneutical observations in each. This helps to understand scriptures from the position of the original readers then turn our minds to us today in our modernized world, different culture and geographical locations. What really stood out for me is the way they explained the Old Testament and parables, it was great to understand that they are not always allegories with a special hidden meaning but they sounded differently originally due to a different context and therefore would convey a different message to us today. I learnt therefore, that it’s not a place to pick lessons anyhow to apply to us today, but put several factors in consideration before we do so. They made it simpler to understand when they used an example of a joke- it’s never funny when you don’t understand the point of reference used by the narrator. It’s from this that I understand the value of reading outside the bible such as commentaries, historical books etc. They used simple language to understand, not lots of Hebrew and Greek and tried to explain for a lay person to understand. However, I am not comfortable with the reason they give for God giving the food laws to the Israelites. Gordon gave a reason of protecting them from carrying diseases in the arid climatic conditions and that they would get allergies from such foods. That’s not a satisfying reason to me and maybe I need to read more about it. 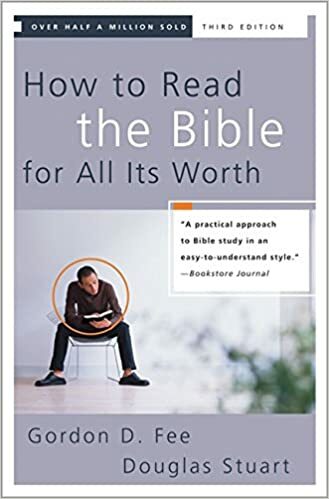 All in all, the book is the best guide for understanding the Bible and I would really recommend it for any Christian and Bible teacher to avoid making mistakes. Use the Bible for its worth and avoid being carried away by any heresy commonly taught by our teachers for their selfish interests or just ignorance.